A mother kangaroo stands with a joey looking around and shaking its ears. 4k00:114K Cinematic Pack of Wild Wolves. Shot at a wildlife reserve on Leica Cinema lenses. 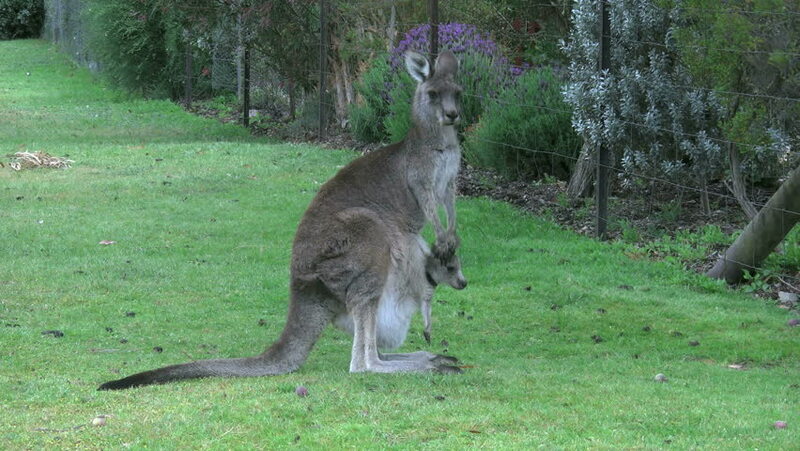 hd00:14A kangaroo with a joey in it's pouch resting on a grassed area.